Campbell’s, eat your heart out. I used to eat total junk. No hiding, no shame. Plenty of us have been there before. I hardly touched vegetables, so I’m sure my parents were over the moon when I took a liking to asparagus soup. She’s eating a vegetable!!!!! I haven’t had cream of asparagus soup in aaaaaaages. Obviously the tinned stuff is just not good news. And it always seemed like something that would be really fiddly to make. Don’t even worry about it. You can have perfectly smooth, perfectly healthy, perfectly delicious (perfectly perfect?) Cream of Asparagus soup in just over 20 minutes with just one bowl to wash.
Place onion in Thermomix bowl and chop for 3 seconds on speed 5. Add butter and cook for 5 minutes, Varoma, speed 1 (with MC off). Add asparagus and chop for 15-20 seconds on speed 6, using spatula through hole in lid when necessary. Add broth (or water) and stock concentrate. Cook for 15 minutes, on 100 degrees, speed 2. Add cream and blend on speed 9 for 1 minute. This recipe makes three servings. There is still room in the TM bowl to do 1.5 or possibly even 2 times this recipe – I haven’t tested that yet! I bought 6 bunches of asparagus today. Cost $6. I have chosen your recipe because no starch. Will let you know how it goes. And only a small amount of butter and will use low ft half cream and half low fat sour cream. 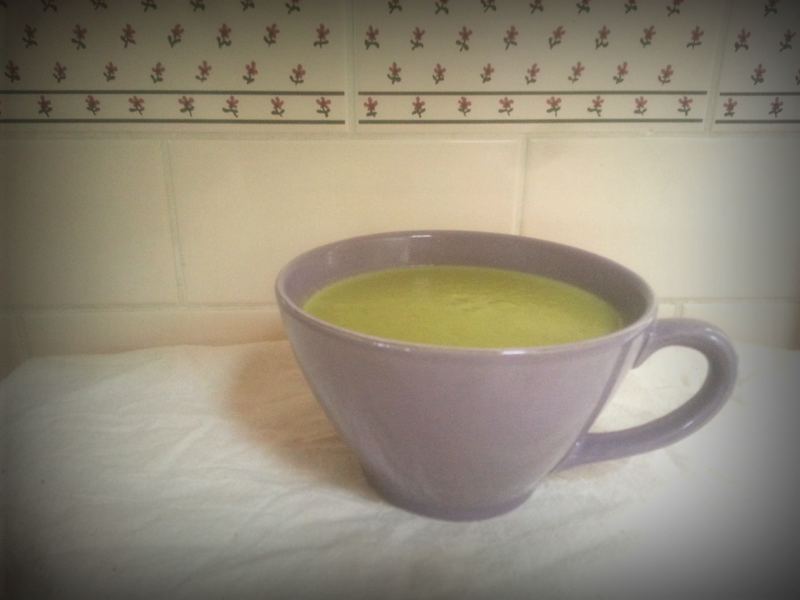 Hi Sarah – thanks for the wonderful Asparagus Soup recipe. I can’t get over how easy it was. I used half in a vegetable bake recipe and let the other half sit in a glass jar in the fridge for a couple of days before consuming. I’m not sure if the flavours melded more over that time but the end result was a really tasty, beautiful soup that I will definitely be making again – and oh, so, green. The only thing I did differently was to use whey (left over from straining my yoghurt) instead of water. People have been led to believe that the flavours that come out of a tin are real (have they ever read the ingredients list?) and could be a little disappointed when tasting what is really real like this soup. Please don’t be, give natural a go and understand how good it will be for your taste buds and your body.